Are you a second-stage business owner that is ready to grow your business? Join Build Institute’s GROW Peer Roundtable Ferndale to explore the key issue of growing your business. This unique forum will provide you will resources and connections to an expanding and diverse group of business leaders and serial entrepreneurs. Due to limited space, please note that registration is required to participate in the roundtable. 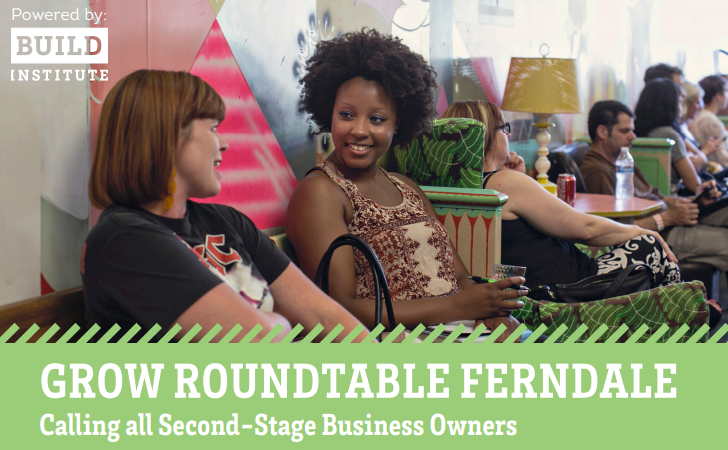 The GROW Peer Roundtable Ferndale will meet on Wednesdays from 3PM-5PM. Meetings will be held on January 10 & 24, February 7 & 21, and March 7 & 21, 2018 at the Rust Belt Market - 22801 Woodward Ave., Ferndale, MI 48220.